Development organizations are increasingly looking for a Mobile Application Development Platform (MADP) that can support their needs for both current and future projects. 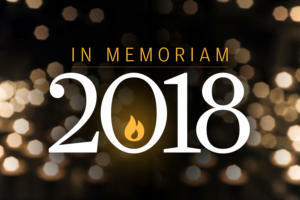 Here are 10 that have been identified as leaders in the field. Mobile application development is more important to the enterprise than ever before. Development organizations are increasingly looking for a Mobile Application Development Platform (MADP) that can support their needs for both current and future projects. It's a broad field and vendors offer a wide array of capabilities. Here are 10 of the best, identified by Gartner as leaders in the field. Compared with other major independent software vendors (ISVs), SAP bet early on mobility. 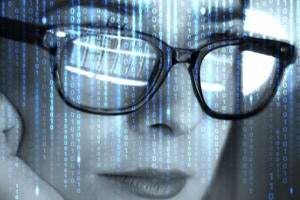 Its latest mobile offering, Sybase Unwired Platform (SUP), has matured rapidly since its initial release in 2010, providing a flexible application development environment with plug-ins for Eclipse and Visual Studio, along with a proprietary studio. 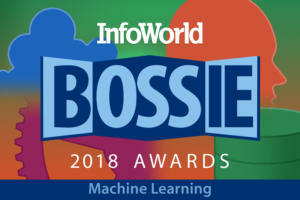 While it has a steeper learning curve than many other solutions, it is an excellent choice for broad mobile initiatives, especially in conjunction with SAP's Afaria mobile device management (MDM) solution. SAP closed its acquisition of Syclo, another leading vendor of mobile application development platforms, in June of this year. Acquired by SAP in June, Syclo initially specialized in field service and enterprise asset management (EAM) applications for ruggedized devices, but has over the years extended the reach of its platform to all popular mobile OSes. 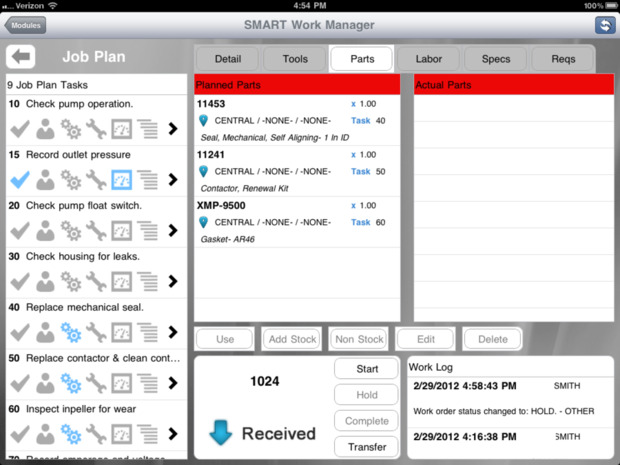 However, enterprises with needs around EAM and field-service-based users are likely to get the most out of Syclo. Its Agentry MADP is an excellent platform for B2E applications, and it now supports many B2C requirements as well. 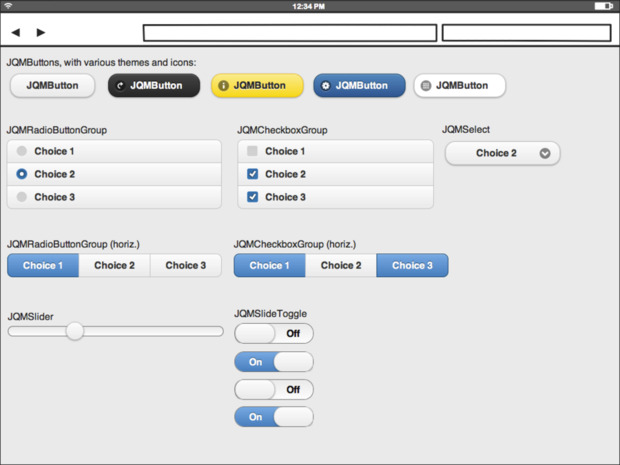 Agentry is especially good at supporting hybrid applications that behave like native applications and Web-oriented implementations. Antenna's Antenna Mobility Platform (AMP) is a good fit for organizations that need to build multiple applications for various types of mobile devices and deploy them as a cloud service. 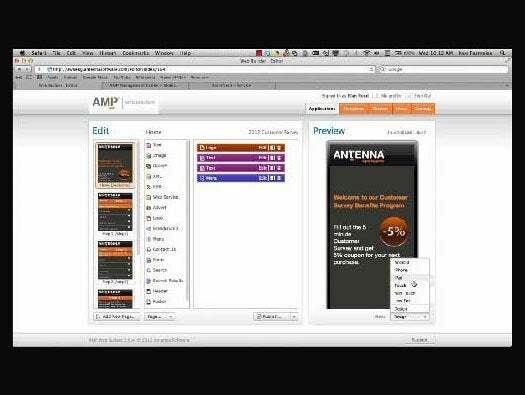 AMP is composed of a development studio together with a scalable cloud runtime service and set of clients that run on a wide array of mobile devices. Its AMPchroma mobile software-as-a-service (SaaS) offering, which debuted in February 2012,adds more capabilities, like integration with MDM based on Antenna's acquisition of Volantis Systems. When it first debuted in 2007, Kony focused on consumer-facing applications, but has since added B2E capabilities, through organic growth. 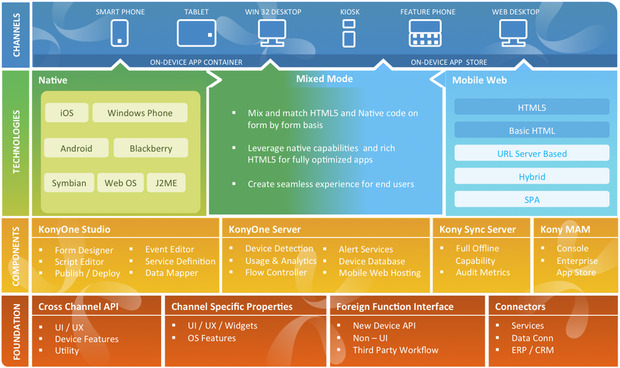 Kony's platform is a good fit for projects that require the use of native features on an array of mobile devices. The environment can be used to build apps once for tablets, smartphones, feature phones, mobile browsers and even desktop browsers, and then deploy to all of them. Adobe Systems acquired Nitobi Software, maker of the PhoneGap framework, in the fourth quarter of 2011. PhoneGap is used to wrap HTML5 apps in native containers, making it a strong choice for media-rich enterprises with requirements for mobile clients, or organizations that want to wrap mobile Web applications developed with other platforms like Sencha, Dojo Mobile, jQuery Mobile and others. It's available for Windows, Linux and Mac OS platforms. Based on Eclipse, Appcelerator's Titanium mobile platform is a free download with preintegrated cloud services and an extensive library of application extensions in its module marketplace. It's a good fit for organizations that need to do multi-OS application development leveraging Web-based skill sets. 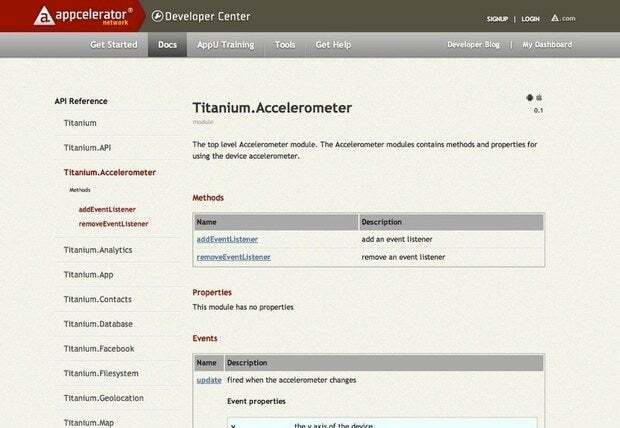 Appcelerator recently partnered with SAP, giving SAP customers the capability to use Titanium to build and integrate with SUP. Verivo Software specializes in lightweight, native client-side applications, making it a strong choice for enterprises that need to support a wide array of device types and platforms with limited development resources. To help provide a consistent, native user experience across platforms, Verivo provides visual/functional elements that can be shared across platforms.